E.C.R. Lorac was the main pseudonym of Edith Caroline Rivett, who was known to her family and friends as Carol Rivett. When she was writing a large number of books every year (possibly too many to publish them all under one name) she also wrote under the pseudonym Carol Carnac. It is clear that she created her two pseudonyms from components of her real name. Lorac was born in Hendon, Middlesex (London.) Her father was Harry Rivett, a commercial traveller in silver goods, and her mother Beatrice (née Foot) was the daughter of Edward Smith Foot who first worked as a railway cashier on the Great Western Railway and later as rate collector in the district of Marylebone. Lorac was the youngest child and had two older sisters. When she was four, the whole family emigrated to Melbourne, Australia, in the hope that the warm climate might be beneficial to Harry Rivett, who suffered from tuberculosis. Unfortunately, this did not prove to be the case and, two years later, in March 1900, the family decided to return to England. Harry Rivett did not survive the five-month voyage. He died and was buried at sea. When the family reached London, they were literally penniless but were received into the welcoming, if crowded, household of Beatrice Rivett’s father, Edward Foot, and Beatrice received employment as an assistant rate collector. Lorac attended the South Hampstead High School and then the Central School of Arts and Crafts in London. This Art School was established in 1896 as a part of the Arts and Crafts Movement, and Lorac continued as a craft practitioner throughout her life; her work included embroidery and calligraphy that has been on display at Westminster Abbey. 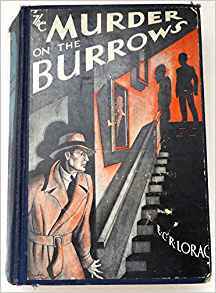 Lorac was an author that avoided publicity, and little is known about her life until 1931, when at the age of thirty-seven she published her first crime novel, The Murder on the Burrows. This book was published under her main pseudonym of E.C.R. Lorac and featured a Scotland Yard detective, Chief Inspector Macdonald. Once started, Lorac became a prolific writer and, in the twenty-seven years before her death, wrote forty-nine books with Macdonald as the Senior Investigating Officer. In twenty-eight of these novels he was assisted by Detective inspector Reeves. Macdonald is a Scot and, although he lives in London, he is fond of the countryside and country walks, preferring the starker scenery of the North of England to the lusher vegetation of Devon. Macdonald’s first name is very rarely used, so much so that it seems even his author forgot what it was; in his debut in The Murder on the Burrows it is given as James, but in later books he becomes Robert. Macdonald is a bachelor with very little personal life. He is an officer of absolute integrity, who follows his instincts about people and sticks to the rules. 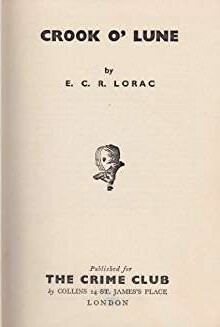 After 1931, Lorac published two books a year until 1936, when she published four books, three under her Lorac pseudonym and one under her new pseudonym, Carol Carnac. From that time on she published at least two books a year and usually more than that. As Carnac she has three series detectives, all police officers: Inspector Ryvet, Chief Inspector Julian Rivers and Inspector Lansing. In all she wrote and published seventy-two detective books. She also wrote two mainstream novels that were published under her own name. Lorac died in 1958 at the age of sixty-four. She had never married and left her estate to her sister, Gladys, with whom she had lived for the last few years of her life. republished by the British Library, Fire in the Thatch (1946) and Bats in the Belfry (1937) and a third that will be republished in November 2018, Murder by Matchlight (1945.) Second-hand volumes of her work are eagerly sought after by collectors but, until the British Library republications, most of the general public had never heard of Lorac. So why would such a prolific and popular author have fallen into obscurity? Part of the reason must surely lie in her desire for personal privacy. Although a few other women crime writers of that time used a male pseudonym, as a practise it was becoming less popular, and writers such as Dorothy L. Sayers were increasingly aware of the need for publicity to promote their books. It is not clear whether Sayers knew of Lorac’s gender when she wrote the review in which she referred to ‘Mr Lorac’, although she would have discovered the truth two years later when Lorac joined the Detection Club. It is possible that Sayers was aware of it and respected a fellow author’s desire for privacy. Certainly Lorac’s readers were unaware of her identity. H.R.F. Keating described the shock he felt when he discovered that ‘this trenchantly logical, pipe smoke-wreathed hero of my boyhood was Miss Edith Caroline Rivett.’ (Murder Must Appetize, 1975). However, in my opinion, the main factor that has caused Lorac’s books to have been forgotten was Macdonald’s basic dullness. He is a very worthy, clever officer who successfully solves his cases and often shows intuition as well as intelligence, but he lacks the power to engage the imagination and interest that other, more lively and eccentric Golden Age Detectives possess. Indeed, Macdonald’s air of professional detachment is even greater than that of Freeman Wills Crofts’ Inspector French. Certainly, his private life and interests never intrude into the investigation. When it comes to the series protagonists of Police Procedurals, there are many senior police officers, such as Bellairs’ Littlejohn and Punshon’s Bobby Owen, who are warmer and more fully rounded characters than Lorac’s Macdonald. Nevertheless, Macdonald is a clever and honourable detective and Lorac’s books are well worth reading. Her prose is elegant, her settings are exquisitely portrayed, and her plots are ingenious enough to keep the reader turning the pages. 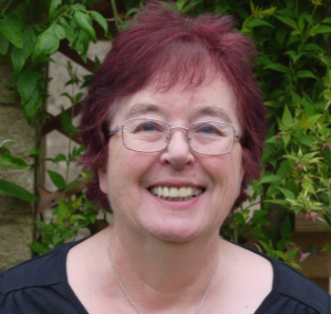 Carol Westron is a successful short story writer and a Creative Writing teacher. She is the moderator for the cosy/historical crime panel, The Deadly Dames. Her crime novels are set both in contemporary and Victorian times. The Terminal Velocity of Cats the first in her Scene of Crimes novels, was published July 2013. Carol recently gave an interview to Mystery People. To read the interview click on the link below. To read a review of Carol latest book Strangers and Angels click on the title. ‘The Steampunk Murder’ by Ian McFadyen.